To be a great leader of others, you first must learn to lead yourself well. Attend Leadercast Live to learn from world-renowned experts about the qualities and characteristics of global leaders who exemplify what it means to lead yourself. 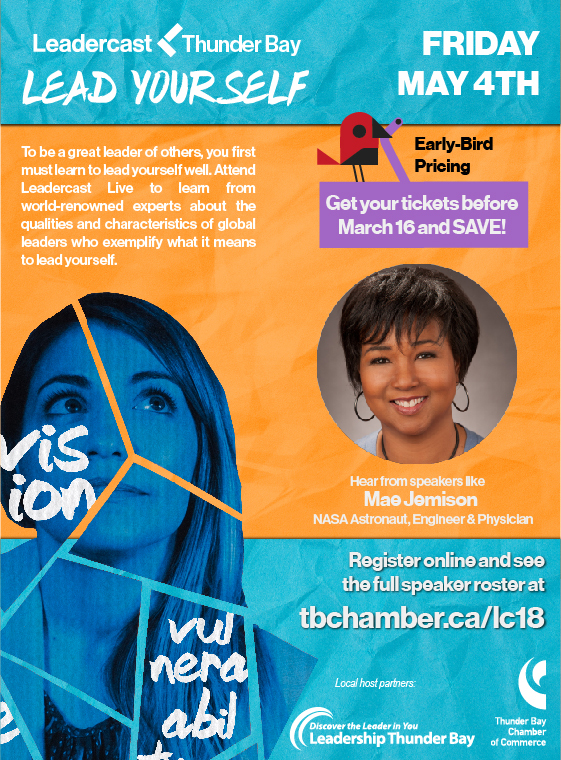 Hear from speakers like Mae Jemison, NASA Astronaut, Engineer & Physician. Click here to register online and view the full speaker roster.